I just happened upon the Junior State Surfing Titles at Bonnie Hills on Sunday. The surf at the contest site was really crappy, but down the beach a few grommets were catching some better waves. Cudgen Creek at Kingscliff on the North Coast of New South Wales has always been a favourite place of mine. In the afternoon I went for a walk along the creek from the breakwater as far as the track goes along the northern edge of the creek. 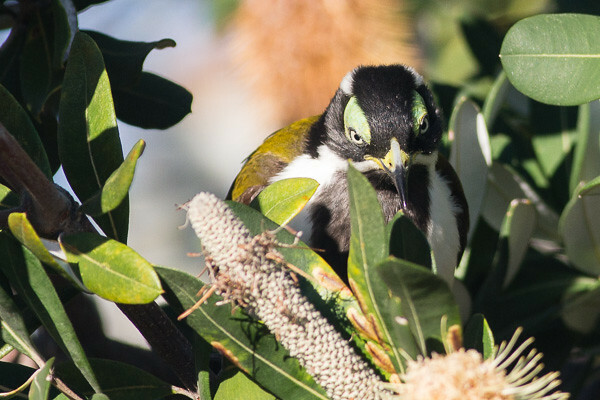 There were quite a few Blue-faced Honeyeaters in the flowering banksia trees. This one is a young one with the green around the eyes. As they get older the green becomes blue. There is an Osprey nest at the breakwater just near the coast guard building. 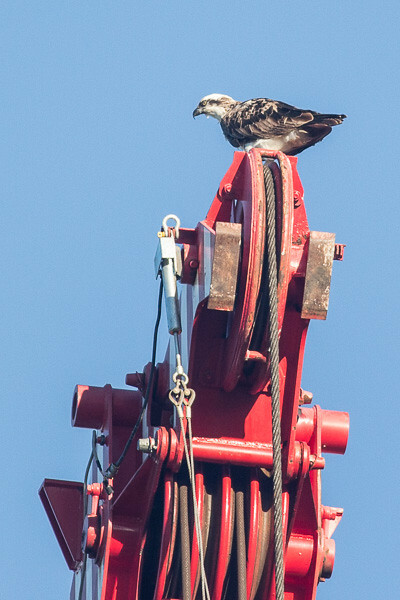 I saw about four Ospreys in the vicinity and they seemed to love roosting on top of the crane that is doing work on the bridge. 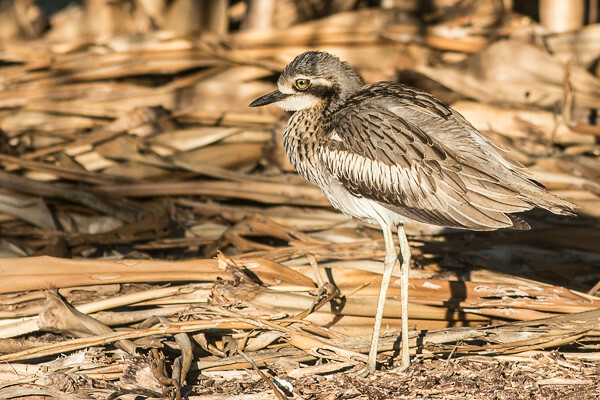 A big tick for me, the Bush Stone-curlew. And it was just in the park by the beach at North Kingscliff. I could not believe my eyes when I saw the signs saying do not go near the Bush Stone-curlews. I rushed back to my car, grabbed my camera and rushed back. Luckily I just had enough sunlight before it went behind the houses.